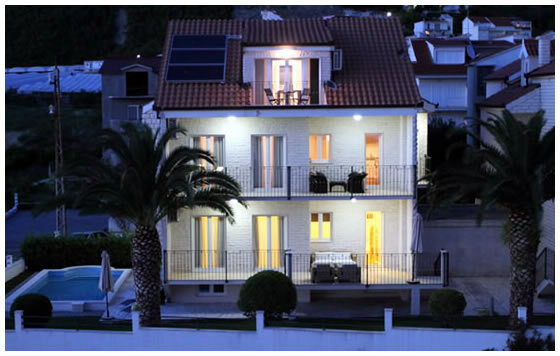 Luxury Holiday Villa in Split for rent – is situated in the residential area Meje on the outskirts of the park-forest Marjan, only a 5 minute walk to the Diocletian palace and the town centre. 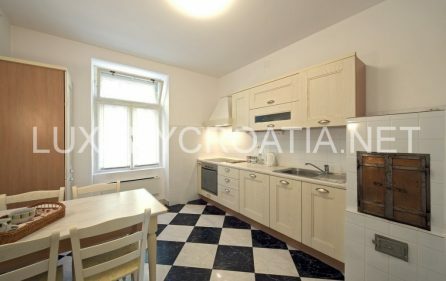 It is ideal for one to five couples or a bigger family who want to be close to the activities of the town, but also a little removed from the town noise if they want to enjoy peace and relaxation. 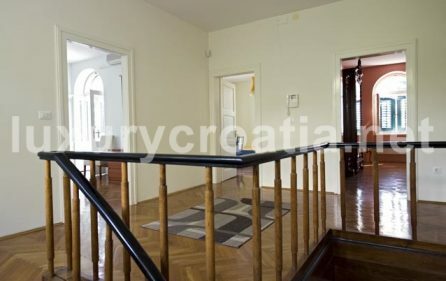 The villa is built of stone from the island of Brač (the same as the White House in the USA). It was completely renovated in 2007 and is fitted with top quality furnishing and appliances to make your stay luxurious and comfortable. 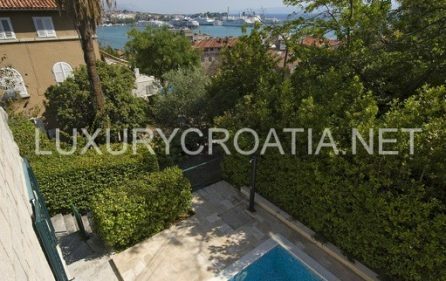 Fully air conditioned, the villa is built in the traditional Dalmatian urban style with a private pool and sauna, a spacious garden and a beautiful view of the harbour, the islands and the sea. The villa is situated on the outskirts of the park-forest Marjan where there are tracks for “jogging” and recreation and from where there is a splendid view of Split, the coast, the islands and the harbour. The nearest public beaches are about a 15 minute walk away. 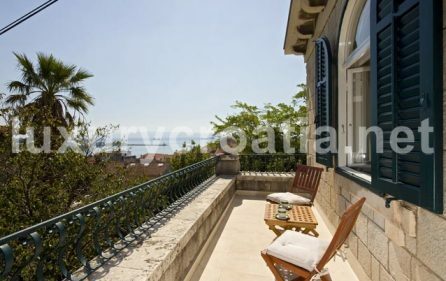 Villa, situated on the promenade to the top of Marjan hill, away from the traffic, guarantees you peace and quiet. 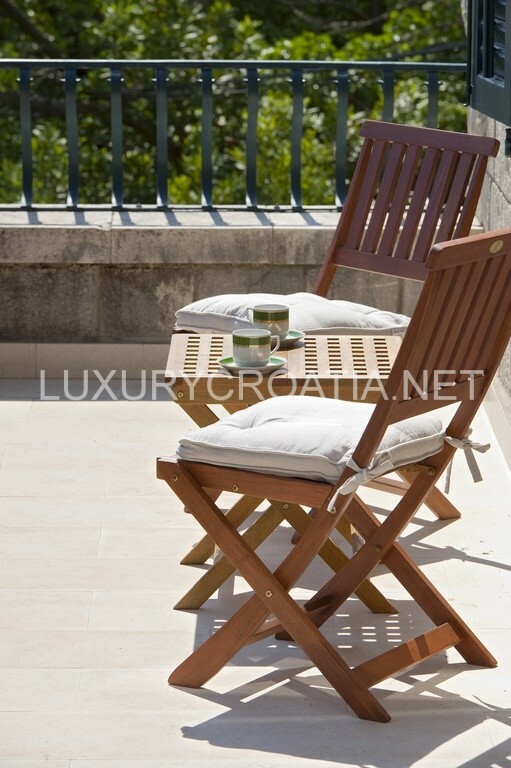 There you will be secluded from the noise of the town and able to enjoy sunbathing and swimming in your private pool. The villa is ideally placed near the centre of Split where there are many historical sights, shops, caffee bars, restaurants and from where you can start your archaeological or tourist sightseeing or organize excursions along the Dalmatian coast. Excursions to the surrounding islands are organised every day. Public transport is well organized and not expensive. Nearby you can rent a bike, a car, a boat or a yacht. 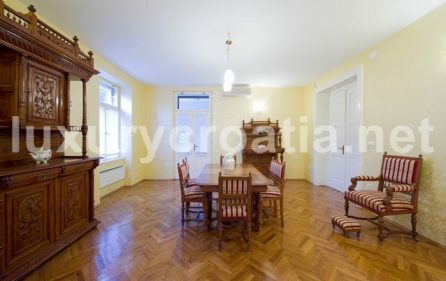 Villa can host up to 10 persons. 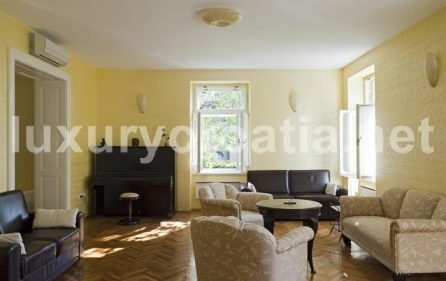 The indoor area is 360 m2. 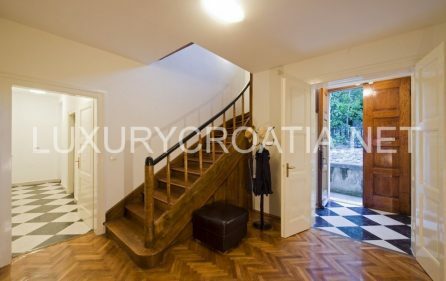 On the first floor there are five bedrooms (some furnished with antique furniture) and two luxury bathrooms and a terrace. From there there is a fantastic view of the harbour, surrounding islands and the sea. 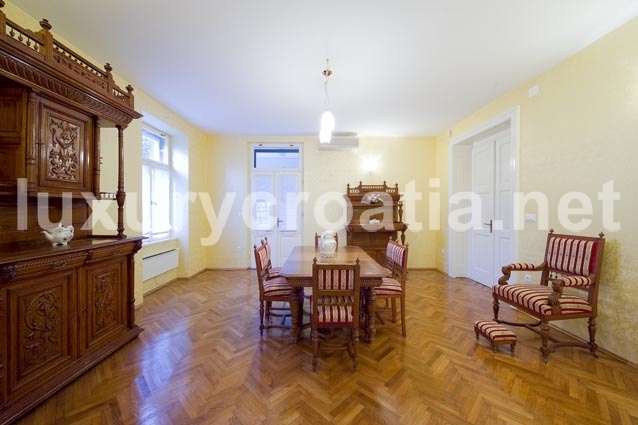 The fifth bedroom is located in the basement. The ground floor of about 120 m2 consists of the kitchen and three spacious rooms which are connected through a loggia to the terrace and the pool. The loggia (alcove) is a perfect spot for a quiet breakfast or a morning coffee and the terrace on the first floor is best enjoyed in the afternoons and evenings. 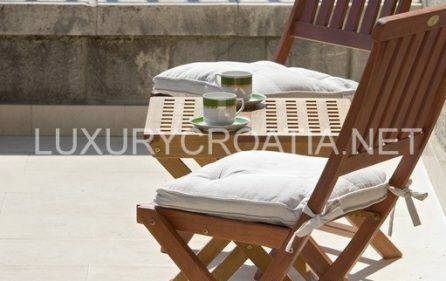 The large terrace around the pool is equipped with deck chairs, beach umbrella and a table for serving meals. 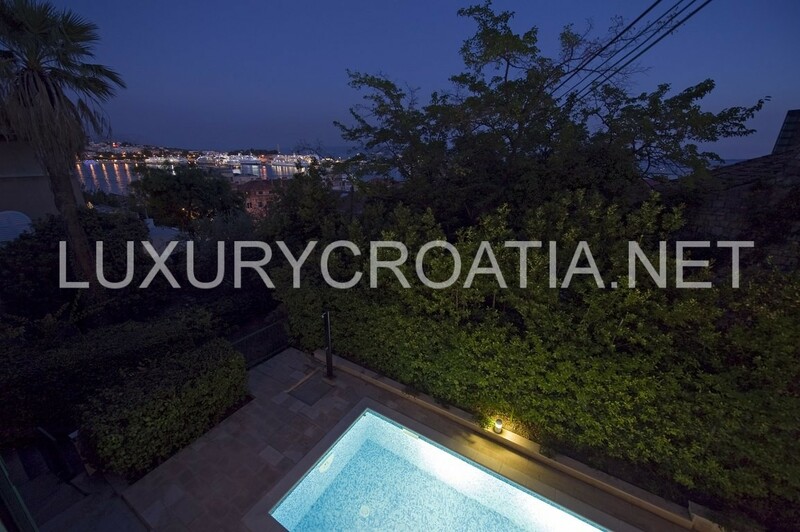 The pool and the lights in and around it give you a chance to refresh yourself late in the evening after a busy day or to have outdoor evening meals on the surrounding terrace. 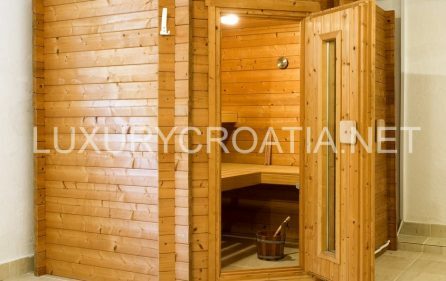 In the basement there is a sauna, a room for sport activities and a bathroom. 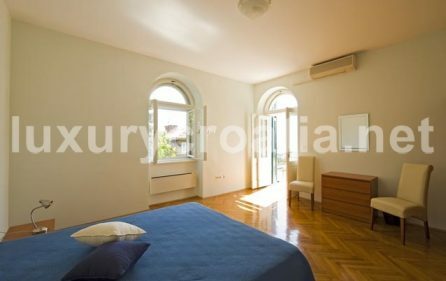 Bedroom 1 (master bedroom) with a king-sized bed and a view of the harbour and the island of Brač. 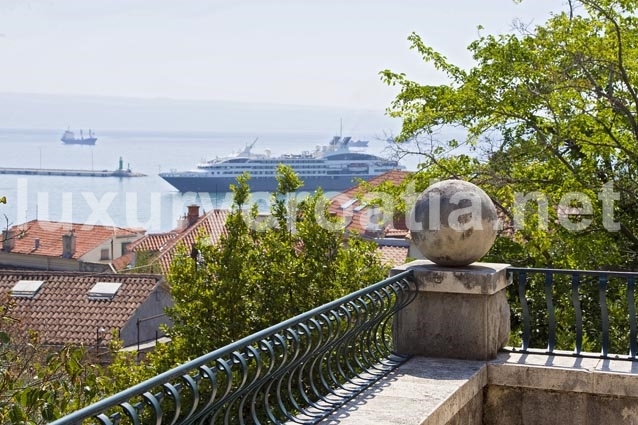 Bedroom 2 has a double bed with a large terrace overlooking the harbour and the island of Brač. 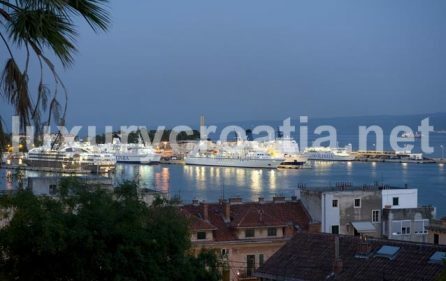 The view from the terrace is especially attractive in the evening. 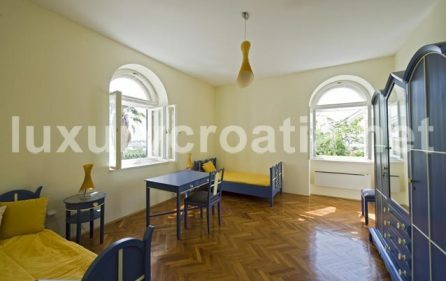 Bedroom 3 has two single beds with a view of the harbour and the island of Brač. Bedroom 5 has a double bed located in the basement. 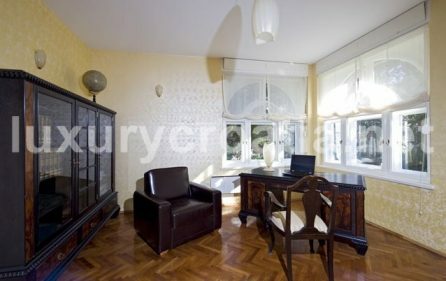 All rooms have wardrobes, bedside tables, lamps, mirrors and chairs. There is a safe deposit box for all the guests. 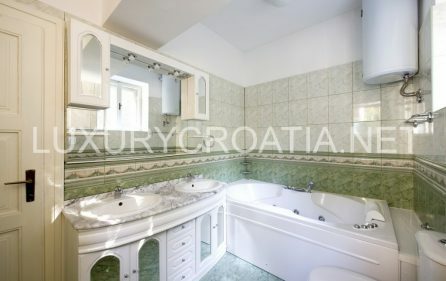 Two luxurious bathrooms with double basins and a shower head in a huge massage bath are on the first floor. A day toilet and a shower is on the ground floor. An additional toilet and a shower is in the basement. 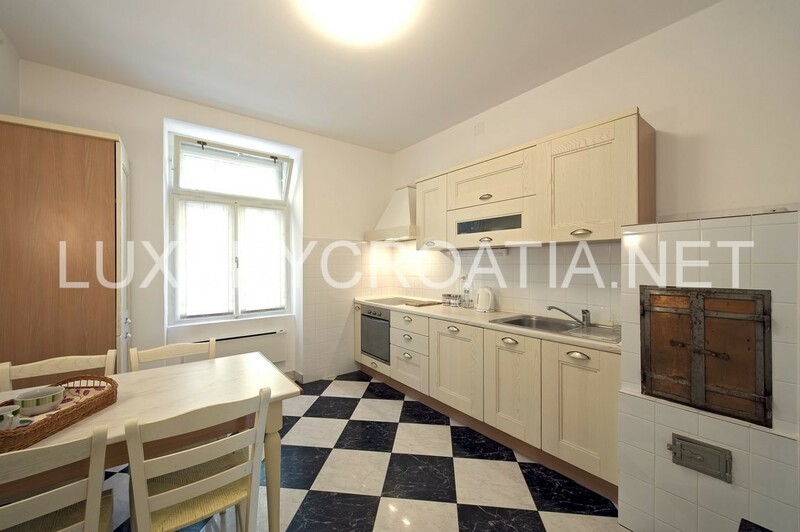 A beautifully designed Italian kitchen is equipped with an induction hob, an oven, a microwave oven, a fridge/freezer, a dishwasher, a toaster, a filter coffee machine and an electric jug. Cooking utensils, cutlery, crockery, glasses & wine glasses will ensure you have everything to make your meals perfect! The basement is equipped with a washing machine, a dryer, a vacuum cleaner, an iron and an ironing board and other cleaning items. 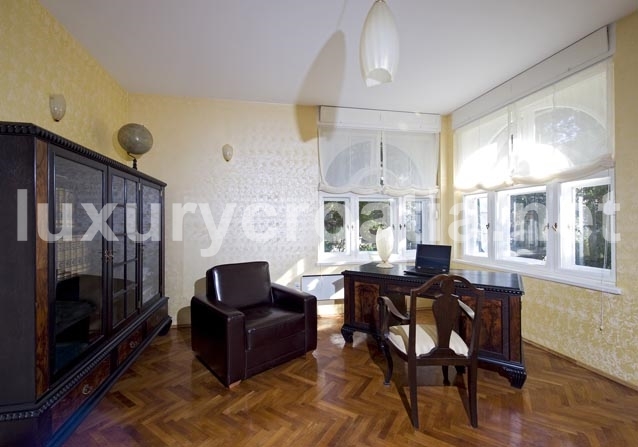 There is auna and a room for sport activities. The ground floor of about 120 m2 includes three connected rooms (sitting, TV with study and dining) which through the loggia (alcove) lead to the terrace around the pool. That is an ideal indoor or outdoor place to meet for a meal, coffee, to relax and to talk, to watch TV, to play a DVD, or to listen to music. A free broadband Wi-Fi keeps you in touch with family and friends. 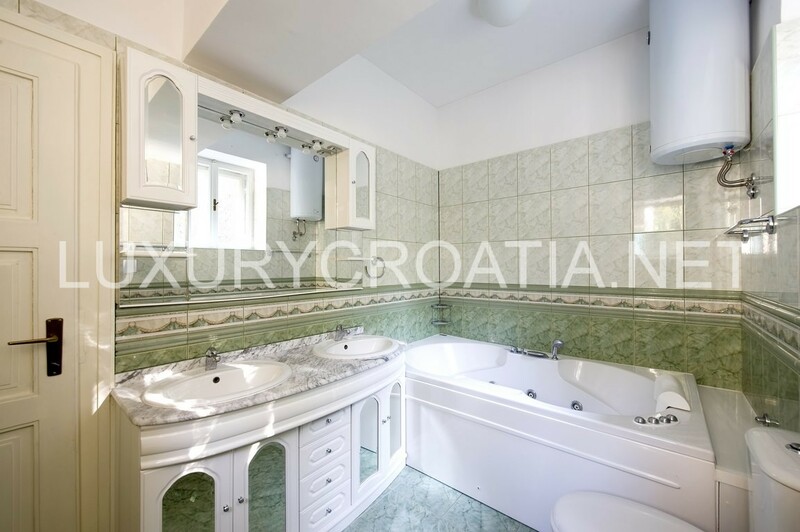 There is also toilet with basin and shower on the ground floor. All beds are equipped with high quality cotton sheets and the bathrooms with towels, all included in the rental fee. Additional cleaning can be arranged if required.